Pro Driving School has qualified and experienced driving instructors who are committed to providing the learner driver with the best possible environment in which to perfect their driving skills. As a learner driver, it’s important that you feel 100% comfortable with your driving instructor. Alan and Lorraine both have combined 14 years’ experience in driving instruction and will make sure your needs are met. We look forward to you signing up to one of our packages so we can help you achieve your goal and accelerate your future. Alan covers the areas of Bath and the surrounding areas. 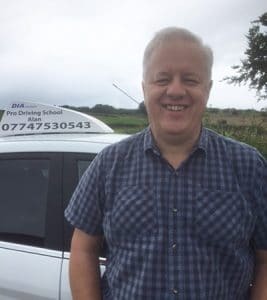 Contact Alan today on 07747 530543 if you are looking for driving lessons near Bath. Pro Driving’s instructors have a combined level of experience of over 14 years on the road teaching all different abilities and skill levels. 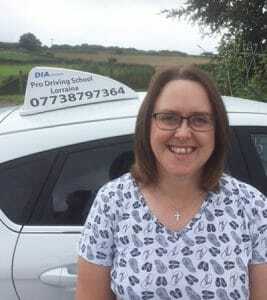 Lorraine covers Frome, Trowbridge, Radstock and surrounding areas. Contact Lorraine today on 07738797364 if you are looking for driving lessons. Frome, Warminster, Westbury, Trowbridge, Radstock, Midsomer Norton, Bath, and Bradford on Avon.